What is the big deal about the thyroid? What do you know about the thyroid gland? If you’re like most people, you may know what it’s called and where it resides, but if it isn’t one of the major organs, you’re none too concerned about it. You may think this unsuspecting, butterfly-shaped gland at the front of your neck is like any other gland, but you would be wrong. The thyroid is actually an integral part of the body’s functioning. It secretes hormones into the bloodstream that helps regulate every cell in the body. Every cell? EVERY cell. It also controls heart rate, body weight, body temperature, energy level, muscle strength and menstrual regularity. That said, I think we can all agree that it is pretty important. Needless to say, when the thyroid gland begins to malfunction, it can throw everything out of whack. According to statistics from the Thyroid Foundation of America, nearly 9.6 million Americans with thyroid disease don’t even know they have it. This staggering number is partly due to the fact that these nonspecific symptoms can show up in many different areas of the body’s functioning – misleading health care providers to diagnose a different condition. Oftentimes, thyroid disorders are misdiagnosed as aging, depression, or menopause. As stated before, symptoms can be very unassuming, but if you have an idea of your family history of thyroid disease and some common symptoms, you can be more equipped to know when something might not be right. The first thing to know is that when the thyroid is dysfunctioning, it is usually producing little to no hormones, or producing too much. These conditions are called hypothyroidism(underproducing), and hyperthyroidism(overproducing). Hypothyroidism. This condition occurs when your thyroid is not producing the appropriate amount of thyroid hormones for your body to function properly. This condition is the most common type of thyroid disease, affecting 11 million Americans. Hypothyroidism is often misdiagnosed as depression. Hypothyroidism can also contribute to heart disease, goiter, and infertility. Hyperthyroidism. This condition causes an overproduction of thyroid hormones, which increases metabolism and speeds up all of the reactions that occur in the body. Many people who have the condition originally believe it to be stress. 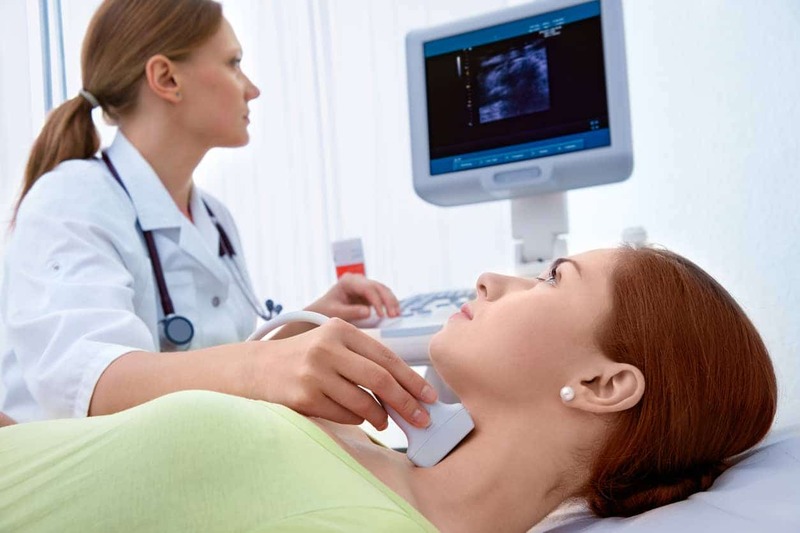 People with hyperthyroidism may also experience problems with heart conditions, infertility, and miscarriage. Even though the exact causes of thyroid disease is relatively unknown, there are some factors that have been shown to increase your risk of developing it in your lifetime. Age. There is an increased risks in people over 60. Gender. Women continue to have a higher risk of developing a thyroid disorder. ABCNEWS’ Dr. Nancy Snyderman reports that women are five to eight times more likely to suffer from a thyroid disorder than men. Family History. If you or a family member have a history of autoimmune disorders and/or thyroid disease, you may face an increased risk. Radiation exposure. This type of risk is usually associated with radiation from head or neck related cancer treatment. As you can see, the thyroid gland may be small, but it is mighty. It’s important to know what to look for when dealing with thyroid disease and its associated risk factors. If you are suffering from the symptoms or have some common factors that would increase your risk for developing thyroid disease, schedule an appointment with your doctor. A simple exam and blood test can check your hormone levels and keep your thyroid in check, giving you peace of mind.